Welcome to Powder View Olympic Retreat. 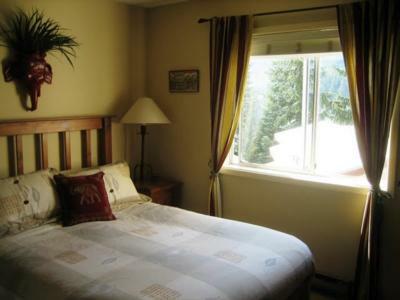 This fabulous Olympic accommodation is a mere 400 metres from the Creekside Gondola and both local and long-distance transit stops. It is also 400 metres to the grocery, liquor, and DVD rental store as well as Starbucks found at Franz's Walk. 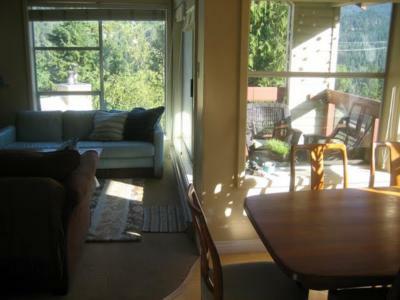 This two-storey, 1,065 square foot, unit is flooded with natural light, even in winter. 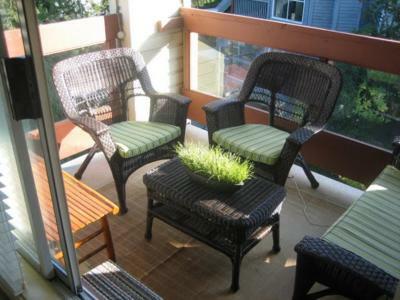 The main floor has a living area plus one bedroom and one full bathroom. The upper floor has the second bedroom, second full bathroom and a loft. It would be possible to make the loft into a separate bedroom with a double/twin bunk bed. The bedrooms each have one queen size bed, two bedside tables with reading lights, double size wooden chests of drawers and large closets. 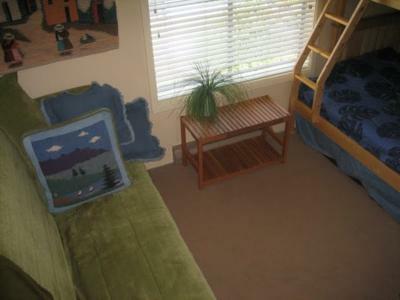 The upstairs bedroom has a TV with DVD and video tape player. 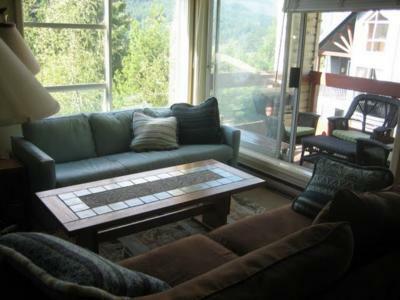 The cathedral living room and both bedrooms face across the valley towards Sproat Mountain. The loft, dining and kitchen windows look up at Whistler Mountain. Every room has opening windows. The slate tiled entrance has a well designed ski and snowboard racks with lots of space to dry coats, hats and gloves. There is an in suite washer and dryer as well as a drying rack in the loft. The majority of the unit has a neutral coloured wall to wall carpet except wood in the kitchen and dining area and linoleum in the bathrooms. 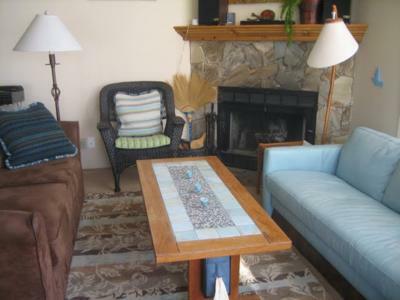 The living room has two couches, a chair, a wood burning fireplace and wireless internet. The dining area sits 6 and up to 10 with the table extended. 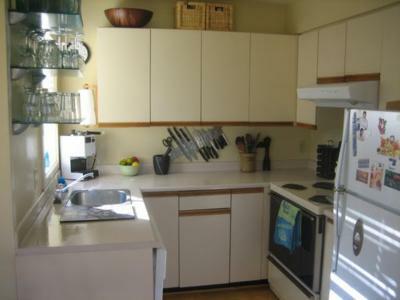 The kitchen is equipped with a four burner electric stove, fridge, microwave, blender, coffee-maker and auto shut-off kettle. As well there are two sets of quality cooking pots there are more than enough dishes and glassware. There is also parking available with this unit. 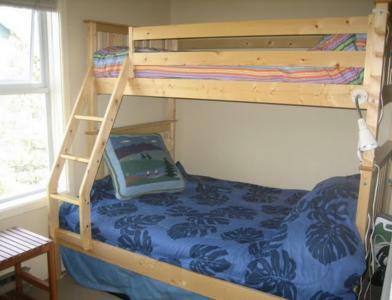 Open loft has a bunk bed that sleeps 3 and a queen fold out bed.